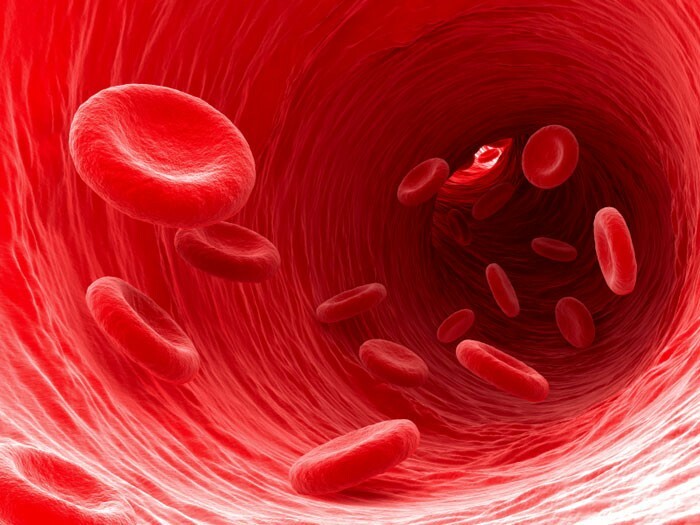 •(Erythrocytes) – The most abundant cells in our blood; they are produced in the bone marrow and contain a protein called hemoglobin that carries oxygen to our cells. 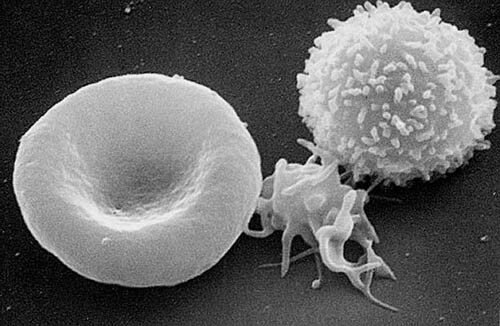 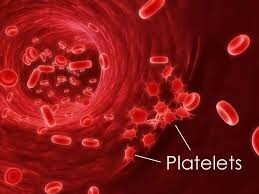 •(Leukocytes) – They are part of the immune system and destroy infectious agents called pathogens. 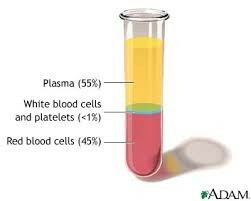 •This is the yellowish liquid portion of blood that contains electrolytes, nutrients and vitamins, hormones, clotting factors, and proteins such as antibodies to fight infection. 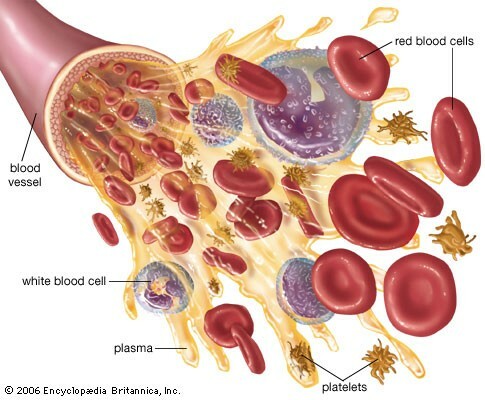 (Thrombocytes) – The clotting factors that are carried in the plasma; they clot together in a process called coagulation to seal a wound and prevent a loss of blood.